If you're not a fan of colorful cases, the next best thing to consider are leather cases. 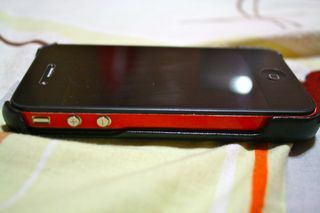 They're simple yet elegant and can also protect your iPhone. 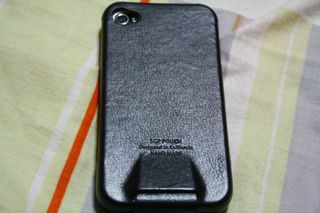 The SGP Illuzion leather case is one of the many leather cases available for the iPhone 4 from the SGP store. You can snag it for $37.99, just add $9.72 for shipping to the UK. 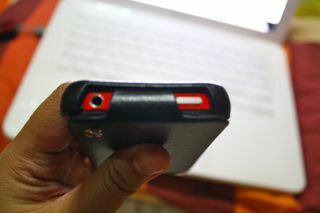 So the SGP Illuzion leather flip case for the iPhone 4 is made of top notch materials. 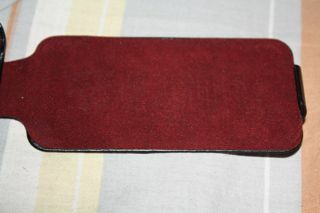 The outer pouch is made from genuine leather while the inner lining is made from dark red (maroon) soft fabric. Both materials are sort of glued together and not stitched. I'm a bit worried about the glueing part as over time it might come apart but from looking over the whole case, craftsmanship is superb and it looks like everything is glued together perfectly. 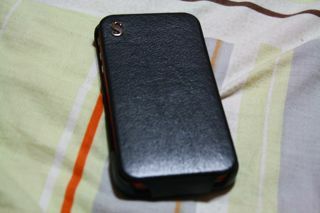 There's a big silver S on front of the leather case, now this is not customizable, it just stands for SGP, some people might be turned off by it but some, like me, who might have an affinity with the letter S, might think of this as an extra bonus. 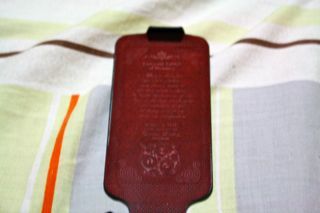 On inner fabric, there's some sort of poem though I couldn't really read it, but it adds to the vintage look of the case. 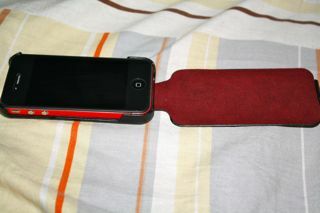 The leather is flexible and fits the iPhone 4 snugly. 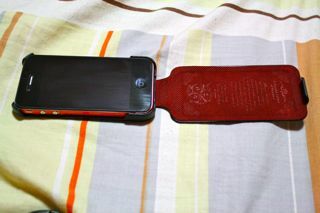 I've installed some side wraps and have an SGP skin guard on the back of my iPhone and it still fits the phone perfectly so for those who'll be asking if body wraps such as Invisible Shield, Wrapasol, or Bodyguardz will be compatible with this leather case, I'd say yes. There's no showing that the iPhone will slip off and the leather is soft enough that it won't scratch the bezel and you can easily remove and place your iPhone anytime. The hinge of the flip case can be found at the bottom, there's no magnets on this leather case, you can close the case because the top can be hooked on top of your phone. 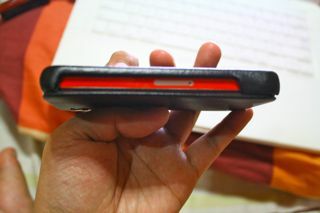 The SGP Illuzion leather case gives you almost all access to the iPhone's ports. 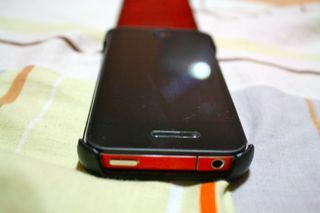 When closed, you can still access the 3.5mm headset jack and the power button. 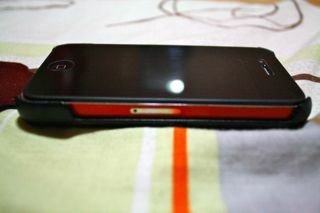 The hinge on the bottom, when closed, still leaves the speakers open while the sides are wide open. 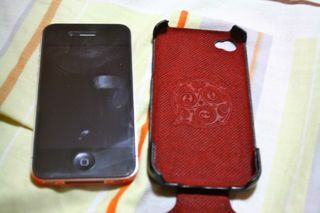 Now here are my two problems with this case. First, since the hinge covers the charging port, I have to take out my iPhone from the case to use a dock or if I do use the charger, I have to leave the case open, which would leave the front of the phone unprotected while charging. Second, the sides for me are just "too open" and I feel that if I put it in my purse, things like keys might scratch the sides. Thankfully, the second problem can be easily resolved with side wraps. 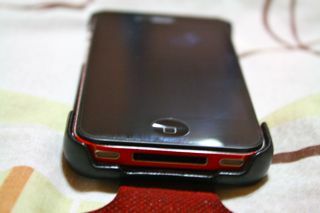 I don't have to worry about that since I have Lucky Labs Spectra Wraps to protect the iPhone 4's chrome bezel. There's a cut-out at the back for the camera, now if you're worried about how that might affect picture quality when using the flash, you don't have to worry. SGP included a mini Lens Hood sticker that goes around the LED flash to diffuse any reflection. 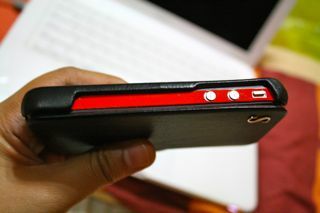 There are a lot of more expensive genuine leather cases for the iPhone 4 out there but for this price and the quality of the case, I'd say the SGP Illuzion leather flip case for the iPhone 4 is a great buy. How long did shipping from SGP store to the UK take?